However, the EWG study relies more on actual oil production data which, it says, are more reliable than estimates of reserves still in the ground. The group says official industry estimates put global reserves at about 1.255 gigabarrels - equivalent to 42 years' supply at current consumption rates. But it thinks the figure is only about two thirds of that. 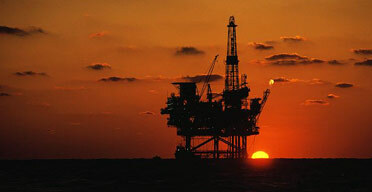 Britain's oil production peaked in 1999 and has already dropped by half to about 1.6 million barrels a day.